I’m back for week 2 of the $100 Room Makeover Challenge and I’ve made some progress on the dining room/space. You can read my week 1 post here, which is a good starting point so you can get familiar with the space and the design plan. This weekend, I watched about 179 episodes of Tiny House shows, and while I was doing that I also knocked out two major parts of the makeover—getting the rug laid out and putting up my oh so gorgeous (seriously, I stare at it and caress it daily, like a creep) temporary wallpaper up. The rug looks AHHHHHH-mazing. It’s the perfect size for the space and defines the area nicely. Plus, crumbs virtually disappear! Putting up the temporary wallpaper was truly a breeze. HOWEVER, if you’re using a linear or geometric pattern, definitely make sure it’s plumb/straight/level. The gap at the bottom was filled in later. I’m using remnants/leftovers from another project to get this wall done. Once I put up the first panel, it all fell into place easily and I was done in under an hour-ish with my 9×8 foot wall. I smoothed out the wallpaper and to cut the excess at the baseboards I used a box cutter. 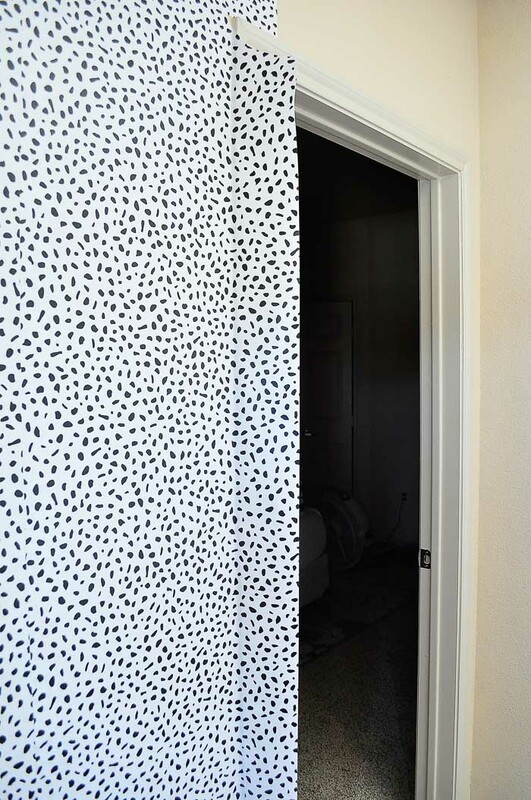 Unlike traditional wallpaper, the temp wallpaper is very forgiving and repositionable, and it comes off the wall super easy and doesn’t mess up the paint (side note: we got our deposit back after this all came down and you wouldn’t even have known it was up). It really is freakin’ fabulous. 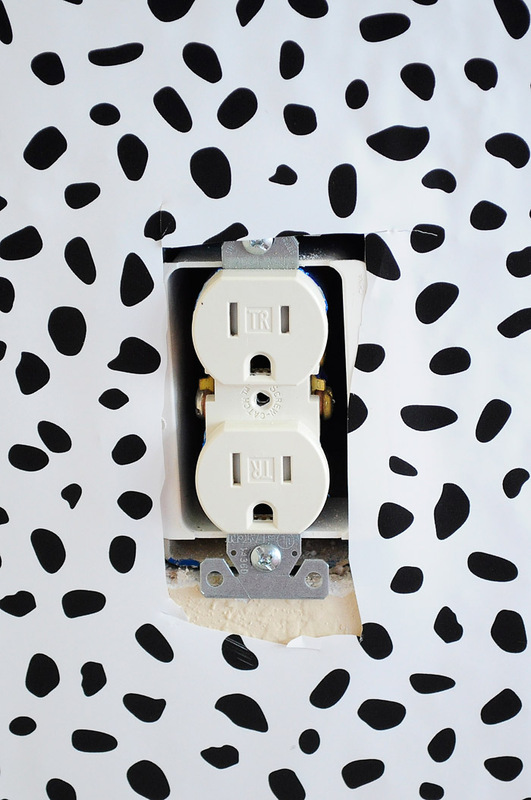 For the areas around electrical outlets, remove the faceplate, put the wallpaper over the area, cut an X in the center, and cut away the triangles from there. Once you put the faceplate back on, it’ll look fab. This works for any wallpaper, temporary or not. I lucked out that the part I had to trim away from the left side of the door frame fit perfectly on the right side of the door frame, so I just used that strip and called it a day. I don’t want to give it all away before week 4, but here’s a sneak peek. I AM IN LOVE. And while I had all the furniture out of the area I gave the bench a quick facelift using some of my metallic craft tape. 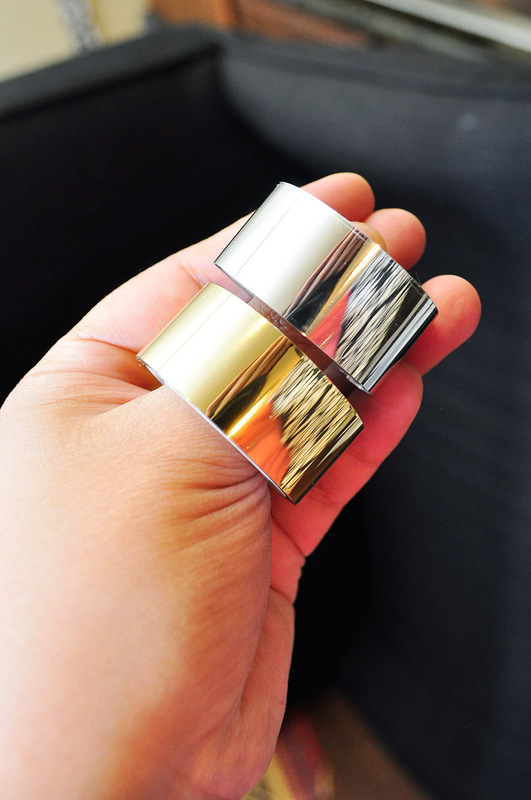 I put a stripe of silver and gold on the bottom of each leg for a little metallic accent. Nothing major, but looks like real metal and took me less than 10 minutes. So, what’s left to do? Well, this weekend I’ll work on the artwork for the wall, and maybe find some baskets that’ll fit under the bench that aren’t an eyesore. I’ll also DIY a Kate Spade inspired vase for the dining table with fresh florals for the big reveal. Week 4 will be all about showing off my new space, obviously. YAY. The total I’ve spent so far is $0! I’ve had everything on hand. I’ll likely spend money on baskets, maybe a few new bold dinner plates or fun glassware, and of course, fresh florals for the centerpiece. I’d really love to spend under $30 because right now I’m vehemently saving for the new house this fall. Your rug is so pretty and that temporary wallpaper is perfect for a rental. Can't wait to see it all come together! That wallpaper looks so good and that rug!! 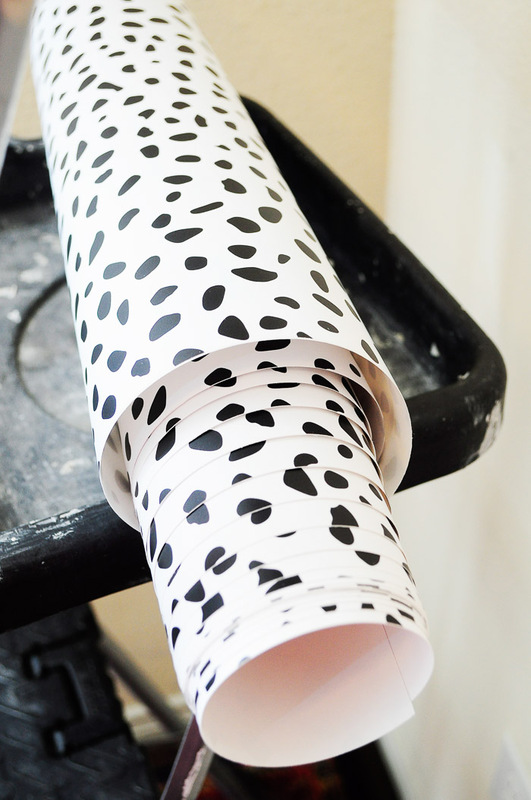 I love how easy removable wallpaper is to apply. 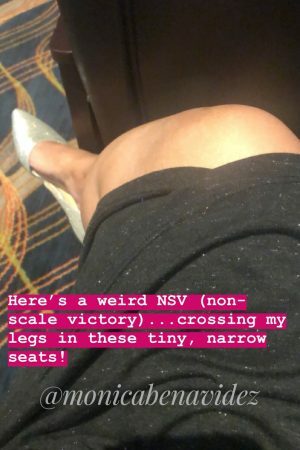 Can't wait to see more! Oh wow, I love it so much! That wall paper is so cool! Love that its temporary wallpaper! That wallpaper is so much fun! 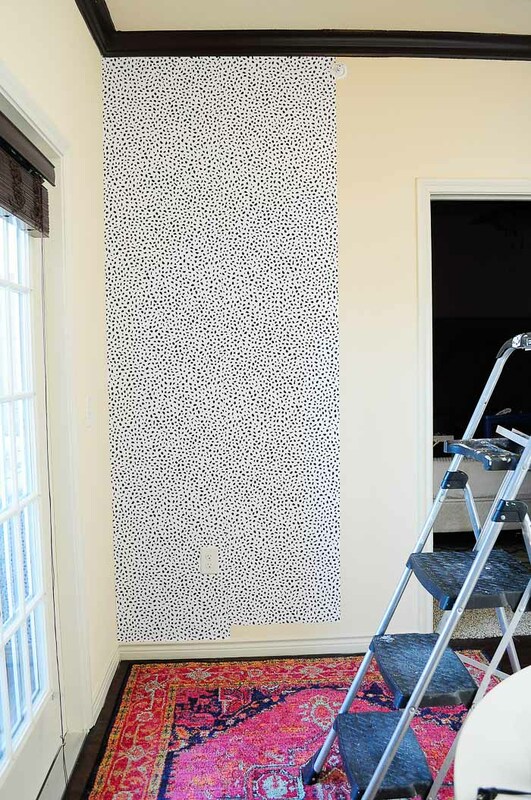 That rug is gorgeous, and temporary wallpaper sounds like a winner for a temporary space. It looks fabulous. Love that metallic tape added to the bottom of the bench. 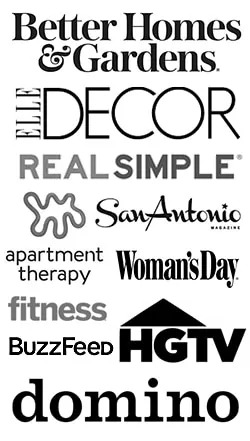 What a great idea to add a little something… so quick and easy, yet makes an impact. Great job this week! Oh wow! What a bold wall paper! And that rug is just beautiful! Can't wait to see it all finished! Great choices. The rug looks even more beautiful next to the wallpaper. And the fact that crumbs disappear makes it perfect! The sneak peak looks amazing! Can't wait to see the entire space. Ah, that wallpaper with the rug is so perfect! And having everything on hand is super! 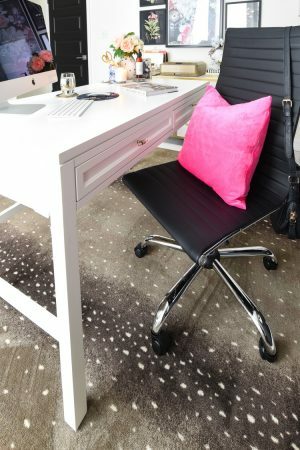 That pink rug might disappear from your room soon… where do you live again?! 😛 It's spectacular. And I love the wallpaper- seriously fun without being obnoxious! OH WOW,the two contrasting textures and colors of the wall paper and rug are so gorgeous! You have a great eye! 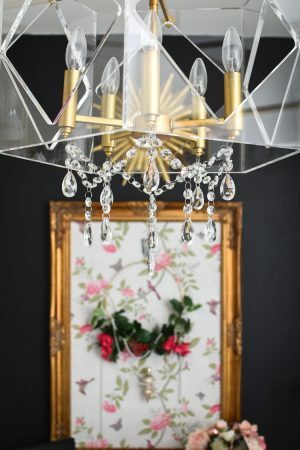 I have been thinking about removable wallpaper ever since you mentioned it last week and now that I see it on the wall I love it! and that rug! Can't wait to see it all done! Oh my goodness, that paper is so good! 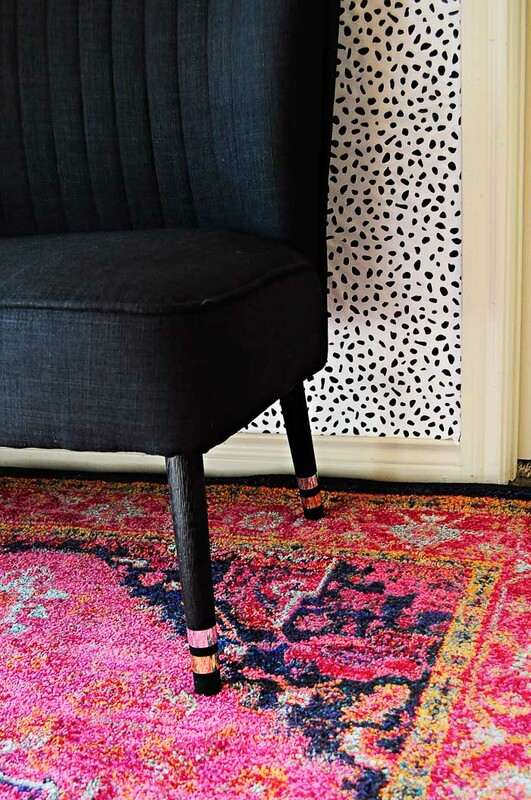 Love the rug – I am a huge fan of rugs with fun patterns that don't require constant cleaning! How cool is that? What an impact. Wow. It's really turning out great. I love the way you mix and the patterns together and the metallic strips on the chair is such a fresh and new idea. Oh my word, I'm in love! That was the exact rug I wanted for our living room and I let my family talk me out of it! I knew it was perfect, though! 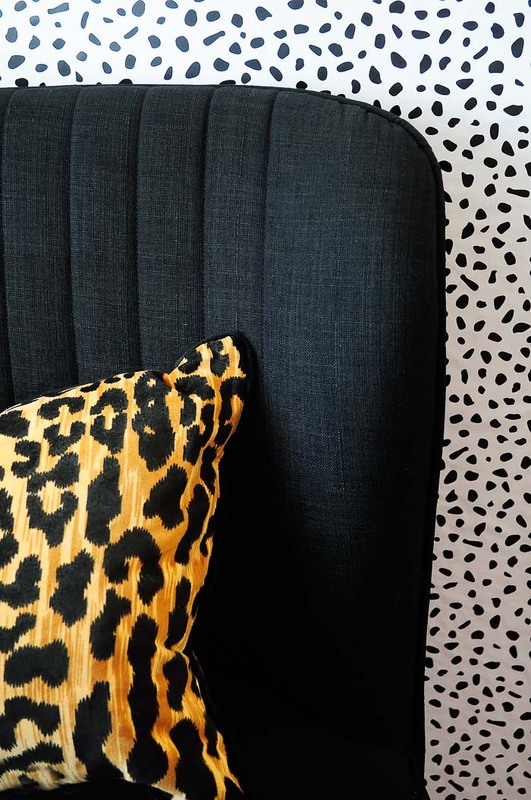 And that wallpaper is spot-on (get it?!). I seriously adore everything so far! Thanks so much, Natalie! 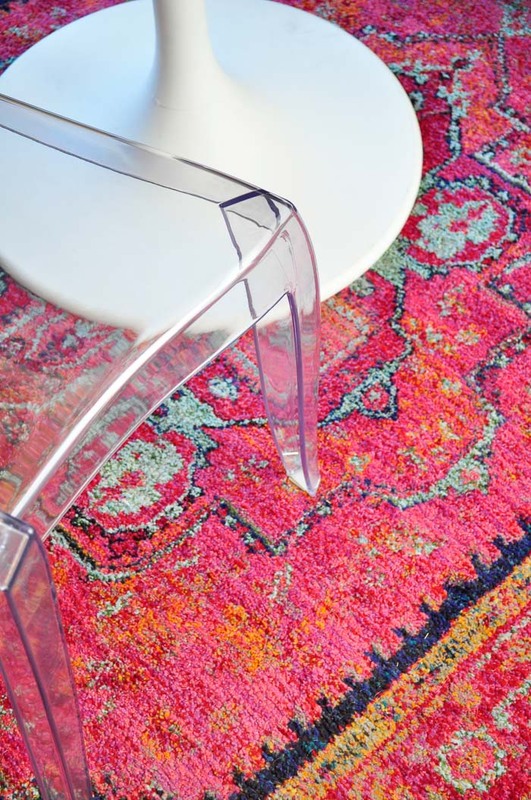 I'm usually pretty shy about bold colors, but I love, love, love this rug. 🙂 It's easy to keep clean and the dog hair blends right in, ha ha!